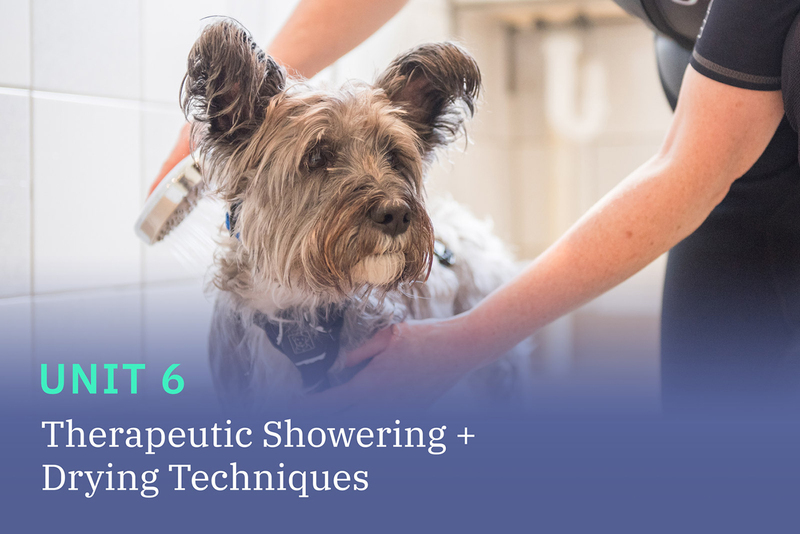 This online course is perfect for canine therapists already in practice, wishing to advance their hydrotherapy treatment techniques. 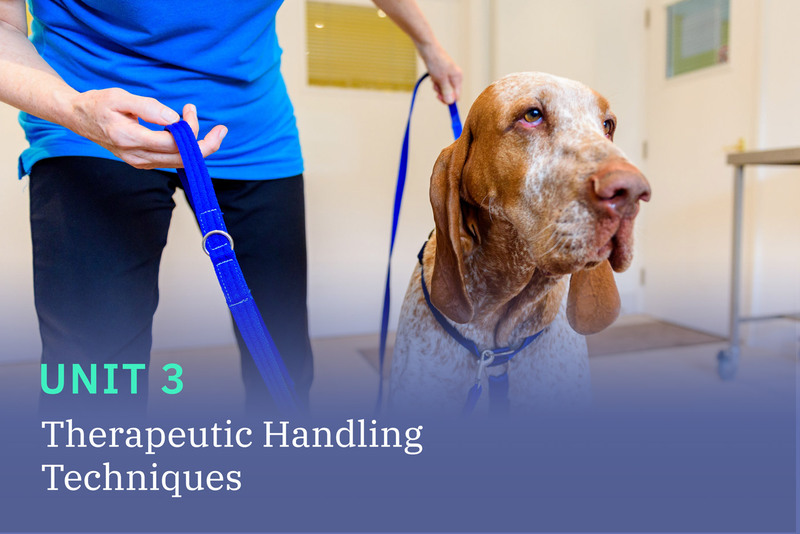 Expand on your existing “therapeutic treatment toolbox” for the dogs in your professional care. Our unique instructional K9 Technical Videos (K9TVs) share high definition detail of each treatment technique. Our K9TVs are integrated with scientific fact sheets, evidence based practice, case studies and guided practical tasks. The course consists of six units that total 245 guided learning hours (GLH) and offers a flexible format that provides you with choices. You choose when and where you study, so it is on your terms and fits around your work and home commitments. There are no travel costs or hidden extras and we bring all the resources to you, wherever you are based. You can choose to purchase and complete individual units over 3 months to build your certificate in a time frame that works best for you, or you can purchase the full course of six units to study over a maximum of 18 months at a reduced rate. 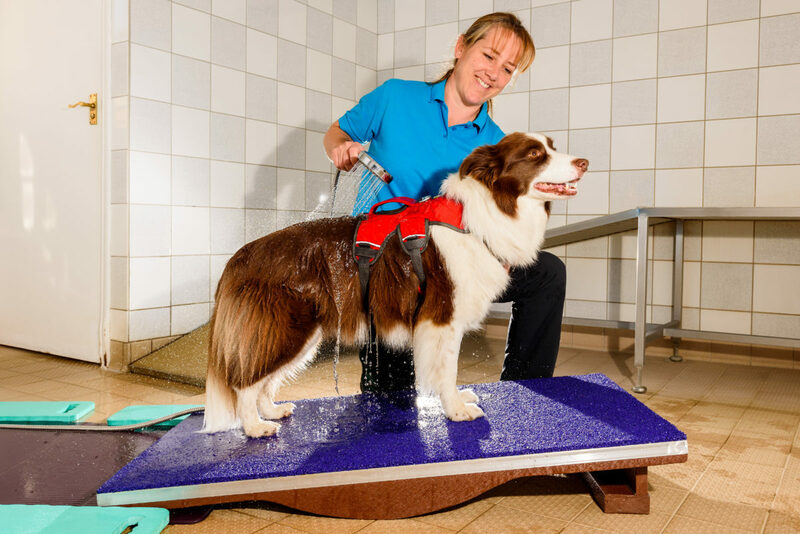 To achieve the ABC Awards QLS level 5 Certificate of Achievement in “Advanced Canine Hydrotherapy Treatment Techniques” you need to successfully complete 6 units. 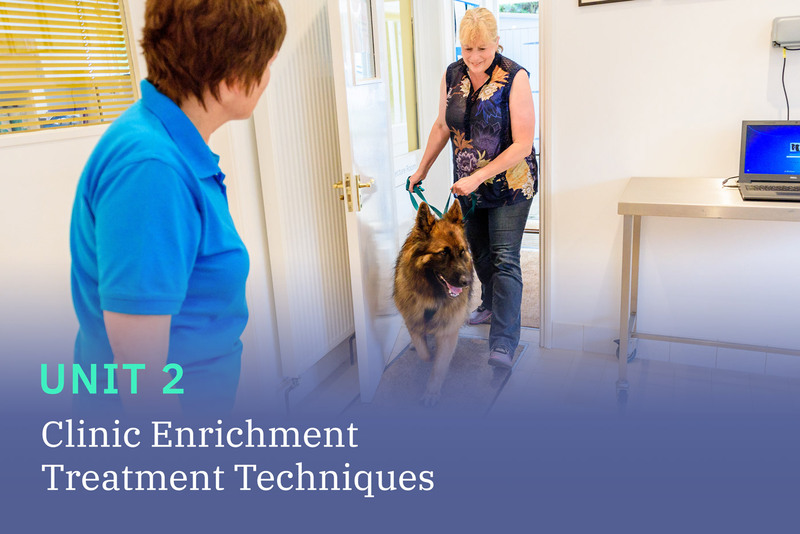 The course design integrates all six units so you have a coherent study flow from one unit to the next, to progress your canine clinical skills and hydrotherapy practice over the whole course. 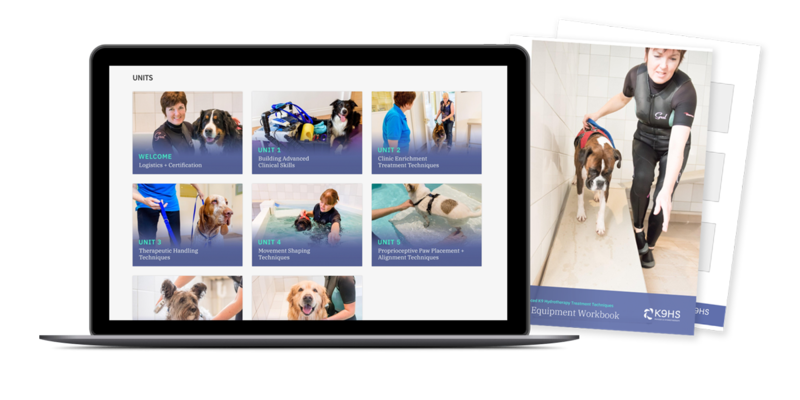 By sharing the latest techniques developed from proven clinical expertise and a sound base of science, your “therapeutic toolbox advancement” will empower the hydrotherapy treatments you can offer to the dogs and owners in your professional care. Our instructional K9TV’s show real clinical practice supported with detailed instructional clinical skill demonstrations. Movement Enrichment approaches for the canine client are proprioceptively enriching and include Therapeutic Handling and Clinic Enrichment treatment techniques. 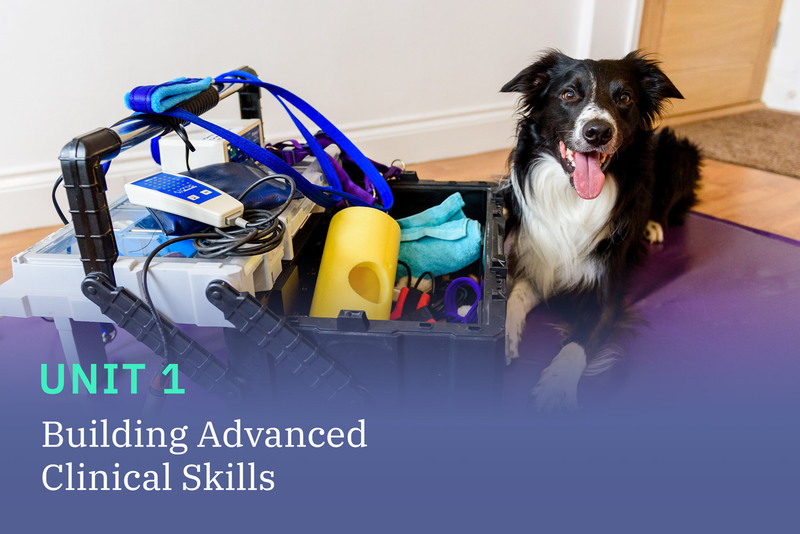 We build on your level 3 Certificate in Canine Hydrotherapy training and explore advanced skills so you can progress your treatment techniques for the complex orthopaedic, neurological and musculoskeletal canine patient. Effective canine conditioning and fitness work uses these advanced techniques, achieving consistently excellent results. All the K9TVs are supported with top clinical tips, downloadable resources, case studies, useful templates and informative links. You choose when and where you study, at your pace and on your terms. You can watch each video as many times as you wish and the course is fully compatible with Apple and Android on mobile, tablet and computer. When you purchase the complete course, you have access to all six units which are released weekly over a period of six weeks. If you choose to purchase an individual unit you can build your award with no time limit. The units are stand alone topics but dovetail and build as you progress through the course from Unit 1 to Unit 6. If you purchase the L5 ACHTT course, we offer you an extra free resource where you can review the new canine anatomy and canine physiology units from our ABC Awards Level 3 Certificate in Canine Hydrotherapy. To begin this course you will need to fill out a short online application form, agree to our terms and conditions and book an informal interview with Barbara Houlding. This is to ensure that the course is a good fit for your needs and experience. Unsure if this course is a good fit for you, or have questions/concerns? Book a discovery chat with Barbara for more information. What assignment tasks are required? The course requirements include answering questions within downloadable workbooks provided to you in the course material. 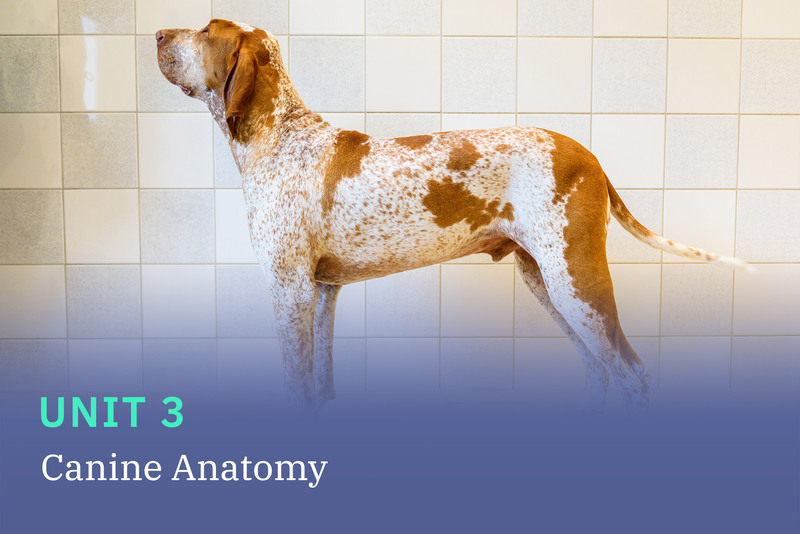 Some of these tasks may require you to identify and discuss muscles and their function, devise therapeutic equipment lists, complete projects and provide written case summaries of real canine cases you’ve worked with. In a number of sections of each unit you will be asked to record a short video of yourself implementing specific treatment techniques to demonstrate your skills and understanding. You will have e-work book files to upload for each unit. 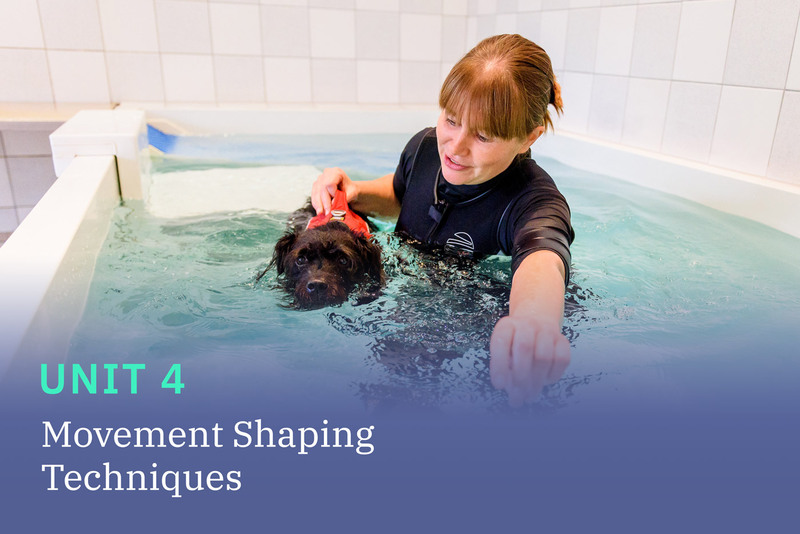 This course is ideal for canine hydrotherapists, physiotherapists, animal therapists, veterinary nurses and veterinary professionals wishing to advance their hydrotherapy clinical skills. We strongly recommend as a minimum that you have completed the ABC Awards Level 3 Certificate in Canine Hydrotherapy or equivalent. In order to purchase this course (individual units or the full course) you will be redirected to fill out an online acceptance form, provide details required for your certificate, and agree to our terms and conditions before purchase. In the form you’ll indicate which units you are interested in purchasing, and upon confirmation you will be provided with the links to finalise your purchase and access the course materials. Not sure if this course is a good fit for you, or have questions/concerns? Book a discovery chat for more information. I have just completed my level 5 diploma in canine hydrotherapy at K9HS and I cannot express enough how inspirational and passionate Barbara Houlding is. Her delivery of course material is captivating especially her knowledge and enthusiasm for functional anatomy, a subject I never found easy to learn but once you have listened to Barbara you will absorb so much more. Barbara and her team are taking hydrotherapy forward, promoting Movement Enrichment and Therapeutic Handling. I highly recommend taking the opportunity to learn these treatment techniques. It has certainly advanced my delivery of hydrotherapy and I am already seeing the benefits with the animals I treat. I will certainly be looking forward to the next course at K9HS. 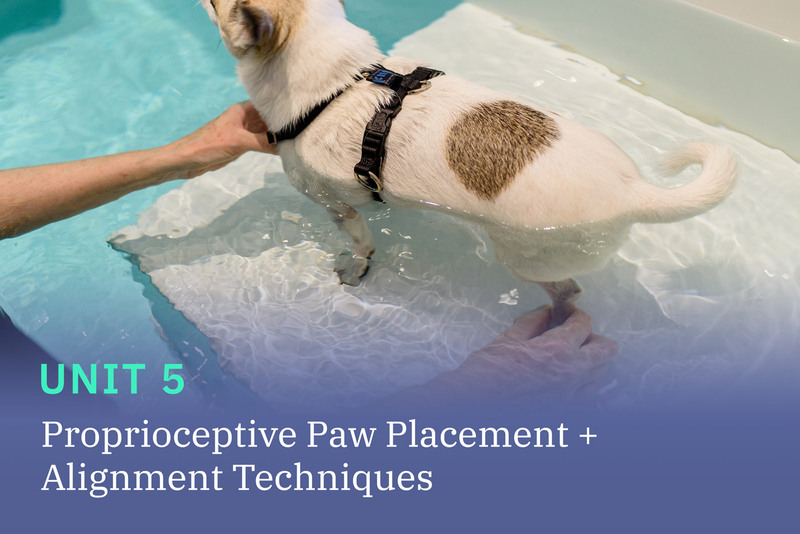 The Level 5 material builds on the Level 3 Certificate in Canine Hydrotherapy, but dives into more depth into advanced treatment techniques to help you build and expand your therapeutic toolbox. Why can't I just buy the course? This course contains advanced material and is accredited by ABC Awards and IRVAP, which means we must do our due diligence in making sure that course attendees fully understand the requirements and expectations of this course. We also want to ensure that the course is a good fit for your needs as a canine therapist. By filling out the registration form we can review your needs and ensure that this course aligns with your specific goals. What assessments do i need to complete? There are no formal examinations. You have to complete a variety of clinical assignments relevant for advanced practice to build your e-Portfolio. This will include taking videos of your self demonstrating a technique, writing case studies and completing your unit workbook. You submit your work online for marking and moderation. do i need to buy books + additional learning materials? We provide you with all the resources you need to achieve your award. Our resources are expansive and include our own instructional videos (K9TV), video links, written resources, templates, case studies, downloadable pdfs, interactive seminars, reading list and ongoing support and mentoring through our private K9 Community. 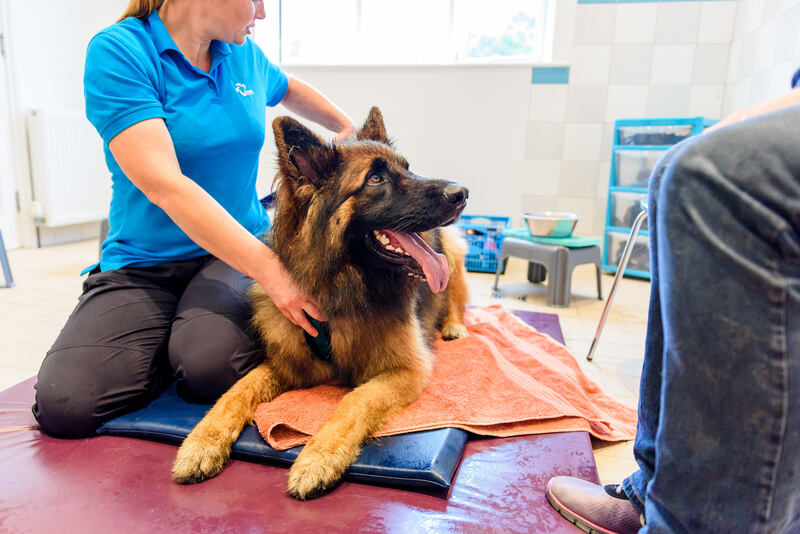 As an extra bonus we offer you free access to our new canine anatomy and canine physiology units that are part of our Level 3 Certificate in Canine Hydrotherapy. This is ideal for you to dip in and out of as an extra review alongside your own level 3 notes you produced to achieve your L3 Certificate. What if i need more time to complete my studies? We know life throws curve balls every now and then, so if you find you need additional time to complete your unit or the course, you can request extenuating circumstances (IC). You need to formally apply in writing to Barbara for an agreed extension period and we work with you to find a solution for your specific needs.